OPEN Ship It - [5 Points Each]! Be sure to check it out! I fit my zodiac pretty accurately. I'm hella short. I adore horses, dinosaurs and dragons. If I appear online but am not actively replying; I'm likely not actually on. I'm notorious for leaving tabs open on my laptop and leaving to do other things in rl. I'm a kid at heart, despite how quiet I am. I'm friendly, open-minded, and a decent human being. My sense of humor is typically dark and moderately to severely inappropriate. What can I say? I'm a fairly typical dude. YOU DO NOT HAVE TO DRAW YOUR HANDLER CHARACTER. Of course, no one in the streets that eager or worried about checking pedigree papers, but racers and breeders won’t just breed any cat. They’ll have to prove themselves worthy. They are not planning to waste a year of their cat ‘s career for a litter that is very expensive to keep (and hide) for no good reason. Neither should you! So, the cat must prove its potential and skill before it will be considered valuable and worth the time. Even in the world of Street Racing they want to breed with only the best blood that will gain interest, riches, fame and status! UPDATED 4/17 NEW TOKOTA ITEMS ADDED! RDS/TT Options added! ANY AND ALL SHEDU CATS BOUGHT AND BRED FROM ME ARE REQUIRED TO SHOW MY CATTERY PREFIX "VTI" AHEAD OF THE NAME OF EVERY CAT! Here is the very first table of shedu coat colours. It is still legit, yet does not contain all of genes and mutations. Though it is very useful if you wish to get the overall feeling and understanding of shedu coat colour genetics and principles. Below next table you`ll find guides for each separate gene or trait. PLEASE, USE "CTR+F" to find genes of interest in the following list! Belly Roan lightens the undercarriage and inner legs. The extent of the effect often depends on the intensity that comes from whether the cat is heterozygous or homozygous for the gene. Some individuals have belly roan on the sides of their ribcage, entirety of their chest, and cradling the shoulder line. 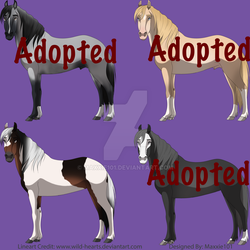 Notice, that belly roan can only be white initially. It does not give any additional colour. The siam gene, also known as 'bay' gene is somewhat similar to the looks of a siamese cat. It create dark/black points on the tips of the cat. This included: Head, legs, tail and mane. On a non diluted cat, these points are always black, if siam gene has no colour modifers with it! When the cat has a dilution gene (like silver, cream, pearl or champagne) these black points are diluted according to their gene. NOTE: siam points are also visible on a true black cat! when you design your cat, we need to see a difference between base coat and siam points! The siam gene known in 4 different versions: standard, extended, panda and siamese bow tie. The cream gene is somewhat similar to cream that can be found in horses. There is a difference between the heterozygous version (nCr) and homozygous version (CrCr). violet (rare)! Please, notice, that violet eyes, linked with cream gene is a line trait. Your cub can have the violet eyes only if one of the parents has it. When a Shedu only has 1 nCr gene, it's called 'smokey' (for example: smokey brown). Maxxie101 has started a donation pool! So, I'm drawing @/Thaldryn's gorgeous cat, Javelin, in a rooftop streetrace in exchange for my first Shedu genome! Since, I'm terrible at keeping track of how many hours I put into my pieces; I'm making a log. I'm saving WIPs at the end of each day that I work on it with the number of hours put in. Those WIPs will be added here once the piece is completely done. I am stupidly excited to share it though! It's coming along awesomely! - I haven't drawn a full body piece with a background since Christmas of last year. Oops. - Should I also mention that I've never, ever, drawn a big cat before? - And I only recently kind of figured out humans? - I decided to go out on a limb and attempt this as a sort of birthday gift to myself. It will not be done by the 17th, but still. - The riders actually look human, and I'm very pleased with their gear! - This is, by far, the most awesome background I've ever created. I love it! - Full steam ahead! Got the more tedious bits done today, so art block should be avoidable now. - Markings will be done tomorrow, assuming I'm around. Tomorrow is my birthday (the 17th; my dA believes it's already past midnight lol). - I'm not looking forward to doing Caligula's smoky leopard markings, but I have a few ideas on how to accomplish them. - Javelin's markings were a touch more challenging than anticipated, but were easy enough and got accomplished. I'm pleased with them. - This is by far the greatest piece I've ever done. I'm so happy with it. So, so proud of it! - I'm not a professional, by any means, but for my personal skills? This piece is awesome!! - I am done. But it's nearing 5am, I haven't slept yet. So, I'm saving it until tomorrow (later today, lol) to share it. Just in case I need to do any changes or touchups that I've missed. I'll be adding to this every day that I get to work on it until it's done. I can't wait to share it with you all!